Economic benefits can come in different forms: royalty returns from selling fishing rights to foreign nations, and providing fish for the domestic market at a time when food security is an issue. The third possibility is jobs in the fishing industry. UN figures show unemployment rates in the Pacific can run as high as 60% in the worst affected countries, with women and youth being the hardest hit. Dr Tu’ikolongahau Halafihi, Chief Executive Officer at Tonga’s Ministry of Fisheries, outlined a new approach his country is taking, to increase employment by encouraging local operators into longline fishing. Dr Halafihi (also known as Hau) said that Tonga currently has only one local longline operator and seven foreign vessels, and their new plans provide for 20 licenses, 10 each for foreign vessels and locals. Employment is the major benefit, but one side effect of a stronger domestic fishing fleet will be to increase compliance and reduce illegal, unreported and unregulated (IUU) fishing. This is a significant because Tonga does not have the capacity to enforce laws with foreign fleets. Hau mapped out the steps Tonga will take: controlling of licences, incorporating the new measures in law, increasing the number of local operators using bareboat charters, seeking out donors to provide vessels, and training. The Solomon Islands are planning a similar approach. Ferral Lasi, Undersecretary Technical at the Ministry of Fisheries & Marine Resources, says the main idea is not to issue licenses to foreign vessels for fishing or export. He expects the benefits will be considerable. “Local owners will make money, stimulating business. Employment will be boosted on vessels and in processing centres. We are looking at bringing $200-300 million into the economy of the Solomon Islands,” he says. Ferral puts the current value of longlining at about $900 million, with license fees amounting to $20-40 million. “It will all be linked to a national fisheries hub. For some fish (like bigeye) the value is higher if we manage the process of export ourselves, so we plan to handle, process, and export fish like this. There will be many people employed in the hub,” he says. He says training programs are part of the plan, and also jobs for women. “Our cannery employs a lot of women, and this will happen in the Hub. We are about to finalise a policy about gender and it will relate to all our activities,” he says. This will be a total change for the Solomon Islands and will need a lot of work involving willing partners. “We need to develop the concept, and a plan. The whole project will be handled by Solomon Islanders and phased in over a transition period. 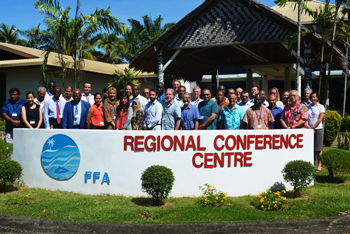 It involves Pacific Islands Forum Fisheries Agency (FFA), the Pacific Community (SPC) and donor partners (including Conservation International). The memorandum of understanding (MOU) will spell out who will do what,” Ferral says. Changes are also coming to the Cook Islands, as they move swiftly to adopt a new e-reporting system developed by SPC. 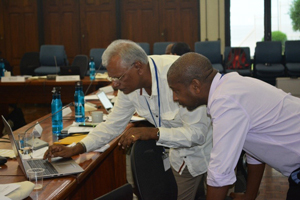 Marino Wichman, Data Manager at the Ministry of Marine Resources (MMR), has been tasked with implementing a new electronic reporting system to manage the longline quota management system approved in 2016-17. “The Ministry works closely with SPC and FFA to ensure our information management systems are at optimal operational standards for both our data technicians and industry operators. 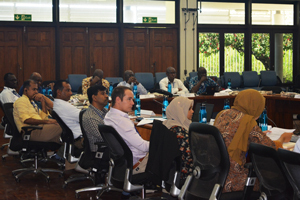 E-reporting is of particular interest, as the Ministry has now introduced longline quota for albacore and bigeye tuna. Now SPC has made available a new app called Onboard. Andrew Hunt, of SPC’s Oceanic Fisheries Programme, says Onboard helps captains of longline boats to complete their log sheets. “Instead of filling out a paper-based form, captains submit the information electronically. Onboard has features like GPS and the camera to improve data quality, and captains can submit new reports while they are still at sea, providing daily updates of their data,” he says. MMR has been trialling the system for its Cook Islands flagged vessels operating out of America Samoa and Rarotonga. After discussion with MMR earlier in the year, SPC has now provided a PC version of Onboard for use on shipboard laptops and computers, which will enable the app to tie into existing satellite data feeds onboard vessels. The Cook Islands licenses 54 longline vessels, of which 26 are Cook Islands flagged. The remainder of the longline fleet are charter vessels flagged to China under access agreements with the Cook Islands Government. MMR is aiming to have 100 per cent e-reporting coverage on all licenced longliners by the end of 2019. “We still have some way to go, as it is new technology and we need to work out the kinks, but the end result will include up to date info sharing, better monitoring, and greater control of catch limits,” Mr Costelloe says. THE Solomon Islands government has earned a record $399 million Solomon Island Dollar (SBD) from its tuna resources in 2017, the Ministry of Fisheries and Marine Resources (MFMR) in Honiara has revealed. This is around $51 million US dollars. The fishing industry now offers hope for the country, behind the logging industry, which earns more but is slowly decreasing in its revenue. Ministry’s Under-Secretary (Technical) Ferral Lasi said offshore fisheries remain the largest income-generating sector and this is from tuna alone, which accounts for almost 90 per cent of the revenues. He said it’s a trend he believes could take the lead in a country that has heavily relied on logging for the last two decades. “Tuna is soon to take up the lead, as it continues to show a massive increase in revenue compared to the past. 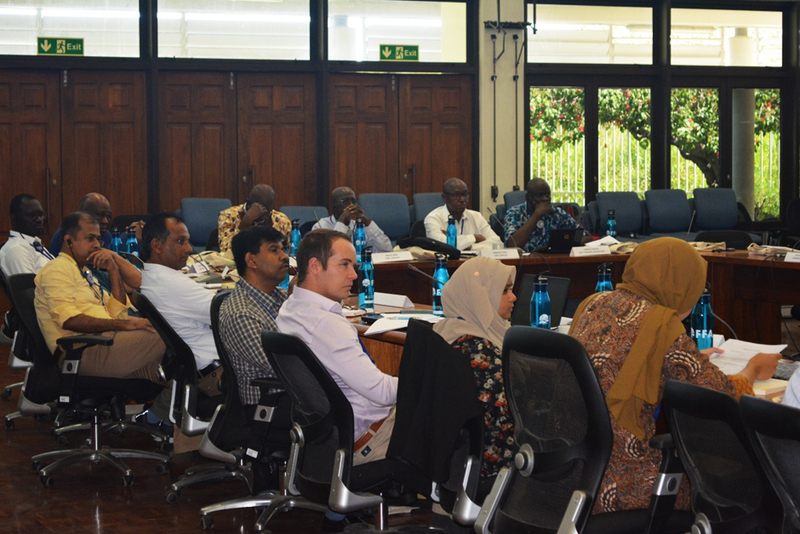 “This positive trend shows the improvement in management of the country’s ocean resources and, most importantly, the collective efforts from neighbouring countries in the region to pursue a common objective to manage tuna,” Mr Lasi said. He added that the species of tuna caught in the Solomon waters worth millions of dollars are albacore, yellowfin, bigeye and skipjack – the four main species of interest in the world market. Like other island countries, the ocean bounded under the sovereignty of Solomon Islands is many times larger than the land mass of the country itself, hence the responsibility to care and protect the EEZ is a challenge. Mr Lasi’s revelation that $339 million collected from revenues in fisheries by the government is a well-deserved acknowledgement for the hardworking staff in the MFMR. He dubbed logging in the country as a ‘sunset industry’. He said once other marine species are managed well to benefit the local people and enable them to participate in commercial activities, more revenue will pour into the country without heavy reliance on tuna. He said an example of this is bech-de-mer (sea cucumber), which is a valuable marine species but not abundant like tuna. Mr Lasi stressed that once the right policies are put in place by the government to help local people, the management and commercialization of sea cucumber will definitely boost the economy and enrich the indigenous people. Mr Lasi further stated that more work is being carried out by MFMR to gauge the maximum benefit Solomon Islands can acquire from its ocean resources, though sustainable management. There may be several more millions generated from other marine products. But the question is, how much of that money actually ends up in the hands of Solomon Islanders? But it’s a question worth answering if Solomon Islanders are to quantify the benefits they are deriving from their own marine resources. 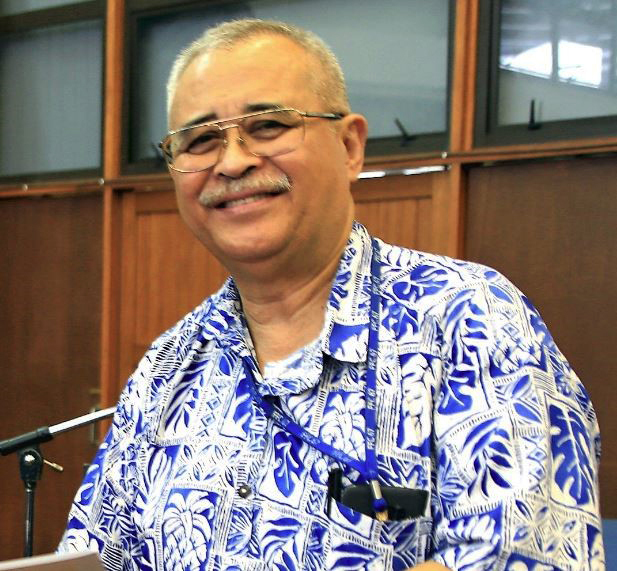 Former chief executive officer of the Parties to the Nauru Agreement (PNA) and the country’s very own fisheries law expert, Dr Transform Aqorau, once said that the Solomon Islands should be earning more from its tuna than what it is earning now. But for the nation to earn maximum benefits from its marine resources, resource owners must be considered and included in all facets of policy and decision-making. Right now, most of the big players in the industry are outsiders. Solomon Islanders are still missing out. Whilst the fisheries industry holds much hope for the country, authorities need to ensure resource owners get maximum benefit from their resources. Dec 4, WCPFC14, Manila— SOLOMON Islands has pulled out from a key tuna deal called the Tokelau Arrangement, citing it as a danger for the country and its catch allocation in the future. The Tokelau Arrangement is an agreement amongst Pacific Islands Forum Fisheries Agency (FFA) member countries, to limit the catch of southern albacore tuna in their EEZ waters. The aim is to restore profitability and sustainability to the fishery but the arrangement will only work if all countries in the albacore fishery take part. 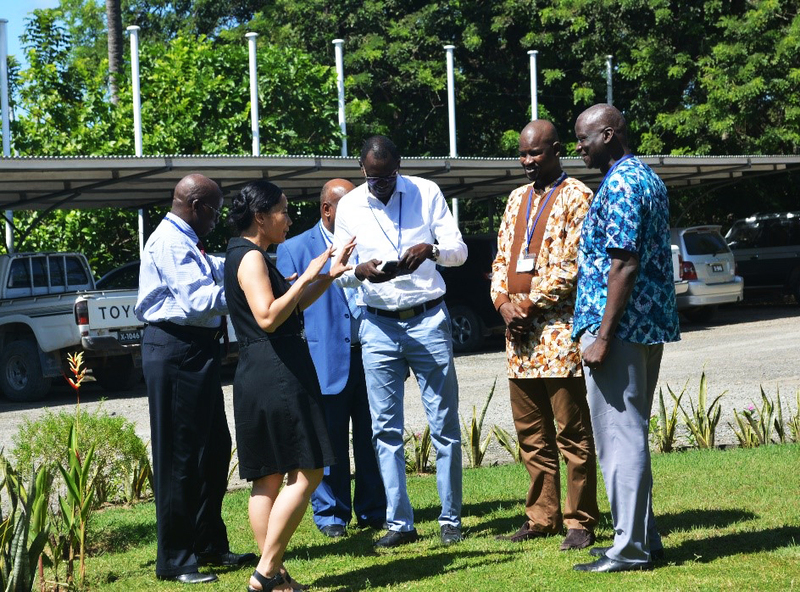 Solomon Islands is part of the arrangement, which was signed during the 11th annual session of the Western Central Pacific Commission (WCPFC) held in Samoa, in 2014. The Under-Secretary for the Ministry of Fisheries and Marine Resources Ferral Lasi has confirmed the country’s withdrawal from the agreement. “Yes, we have pulled out because it has the potential to sharply constrain our catch allocation in the future. 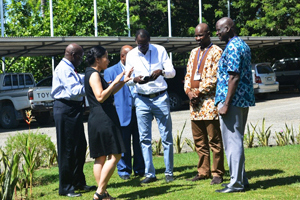 “We have our policy to develop our own long-line fishery in the future and this agreement could stand in the way, constraining our catch limit,” Mr Lasi, who is also the Head of Delegation (HOD) for the Solomon Islands, in the 14th Tuna Commission meeting said. Speaking to Regional Journalists in a press conference over the weekend, WWF’s Bubba Cook said the withdrawal of Solomon Islands from the agreement is a bit unfortunate, when relating it to Pacific solidarity. “The greatest strength of the Islands is their solidarity. When the Islands come together and want something done as we saw last year at the Commission meeting with respect to the observer safety issue, they can get things done. “And with respect to the Tokelau Arrangement, we have been calling for improvements in the Southern Long-line fishery now probably for a decade and things continually get worse. “The fleets operating in the Pacific are continuing to see their catch rates fall, they are struggling to make their businesses viable and of course that is driving them to set more and more hooks to catch fewer fish which those hooks which aren’t catching albacore are catching things like turtles and sharks so it is having a multitude of effects beyond just the direct targeted fishery itself. “So the Tokelau arrangement brought those countries together to collectively try and address at a Pacific Islands level, management of the Southern Long-line fishery, in a way that would provide reasonable allocations to all of the countries that are involved,” he said. “With Solomon Islands opting out, I think that diminishes the power and influence of the Tokelau Arrangement. Although I have been told that the Tokelau Arrangement is ‘not dead’, it will continue, it is just not going to have the same strength it would if everyone was inside the tent pushing for the same goals,” Mr Cook added.